Will I Be Able to Complete the Asylum Workout? | Does It Really Work? 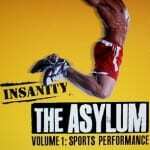 Does the Asylum Workout Really Work? Wondering if the Asylum workout can give you a pro athlete’s body in a month’s time? There’s only one way to find out, so we put it through its paces to see what it brings to the table. Find out if this goes into the Hall of Fame or the blooper reel. You might remember the host of Asylum because he is the same guy that hosts the Insanity workout, his name is Shaun T. If you’ve tried the Insanity system and are contemplating the Asylum workout system you might just be insane and be ready to be put in an asylum. It’s the next brainchild from the folks over at BeachBody and is designed to specifically get you ready for sports and athletics, by focusing on agility training and upping the ante on how far you can push your body. The claim is pretty straightforward: “Look and feel like an athlete in just 30 days.” They are not talking about just any sort of athlete either, they are talking about an elite, professional athlete ready for competitive sports. It’s not so much the results that we’re questioning, but the short amount of time they say you can do it in. Unless you are in reasonably good shape it is going to take your body time to adjust to your new ways, and it is going to be hard for you to keep up with the regimen day after day for thirty days in a row. The hype is from all of the fitness models that are used in the promotion of this video series. These people are obviously spending the entire day focused on their bodies, and not just relying on the Asylum workout to get those results. Also, Shaun T. is a professional fitness guru so of course he’s going to be in top shape and camera ready at all times. So it’s like an unconscious hype, because they don’t outwardly come out and say that these people are using Asylum to get their bodies, but it’s assumed by watching it. The real truth is they need to have super-fit bodies in order to keep up with the routines featured in the Asylum workout. It’s $105 total delivered to your door which is broken down into three payments. The first is $45 and then two payments of $30. Unlike P90X and Insanity, this actually comes with some equipment, in the form of a rope ladder and a jump rope for the circuit training. This is the stickler, you have to be committed. They even give you a completion shirt that says “I’m Committed”. It’s got double meaning, but the real meaning behind it is that you can’t just do it once or twice, you have to do it every day for 30 days if you want to even come close to the sort of results they promise. This workout is for those that are already is pretty good shape, and want to get cut and fit for sports. It’s cross training taken to a whole new level. Even though they show some guys going from somewhat flabby to fit, this is not realistic. If you want to make it through the first round of workouts and still be standing, you need to be somewhat fit to begin with. The training is intense, and there’s not really a way to start off at a beginner’s pace, because what’s required of you will demand a lot of physical exertion right from the word go. With 6 different training routines you’re getting all of the intensity that the pros get, plus important things like stretching so you prevent injuries. There’s speed and agility training, which is helpful in almost every sport, vertical training so you can have mad ups, an entire program about stretching your body so you build longer, leaner muscles. There’s even an entire session that focuses on strength training and resistance so you build a muscular frame. The game day workout incorporates the different activities into one cross training program. And of course there’s even an entire DVD devoted to your core. Can’t compete without a strong core! Is this proof that the Asylum Workout works? BeachBody, the makers of Asylum have turned this into an art and know how to get your body moving and basically torturing it into submission. They don’t make any bones about it, and are very up front with the fact that they aim to punish you and push you to new levels. This is not a system for the armchair quarterback, this will get you ready to be the quarterback. The only negative reviews you’ll find on this program are from those that couldn’t cut it. This is nothing to be ashamed about, and no reason to fault the product over either. It’s just that they should have started with a less strenuous program and worked their way up, or graduated if you will, to the Asylum workout system. What do you think? Does the Asylum Workout work or not? Does Georges St-Pierre's RUSHFIT Really Work? Does Power 90 Really Work? Does Tae Bo Really Work? This DEFINITELY works, IF you actually do it (with any workout program for that matter) and eat right (and I don’t mean sorta right, but truly eliminate the crap from your diet). Like most beachbody programs, they provide a calendar and high intensity workouts. The workouts are HARD (I did P90X & 2 rounds of Insanity prior to this) and I found myself dreading coming home from work to do them. However, if you stick with it, the results are amazing. Get it if you are already in great shape. This is not a beginner program (despite how they try to sell it).